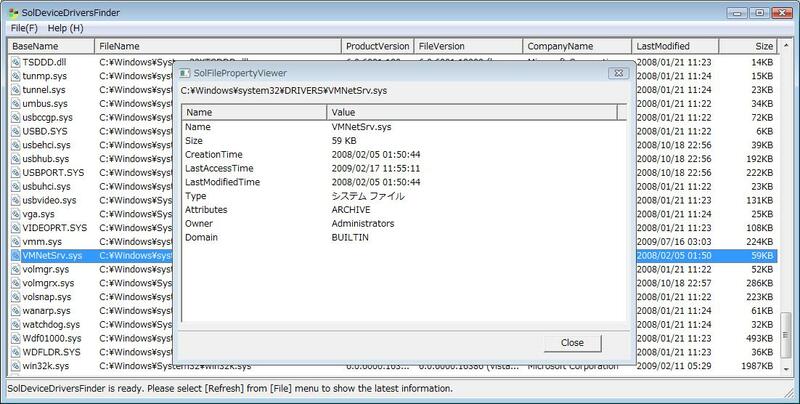 SolDeviceDriversFinder is a Windows GUI tool to find all device drivers on a computer. See Figures 1. 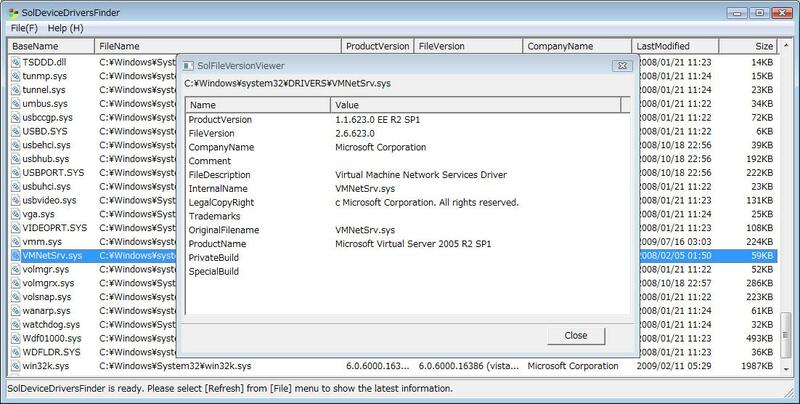 This tool can be used to find device drivers and view file properties and version properties of the device drivers. will be shown in a listview of the window. See Figure 1. 2. 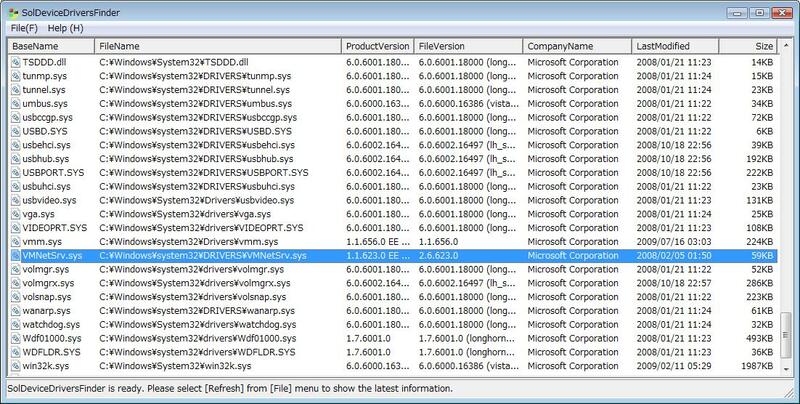 Select a device driver filename in the listview. 3. Click a right button of mouse on the listview, then a context menu will be displayed. 4. Select [File Properties] item from the context menu, then SolFilePropertyViewer to show properties of the file will be displayed. See Figure 2. 5. Select [Version Properties] item from the context menu, then SolFileVerionViewer to show properties of the file version will be displayed. See Figure 3.